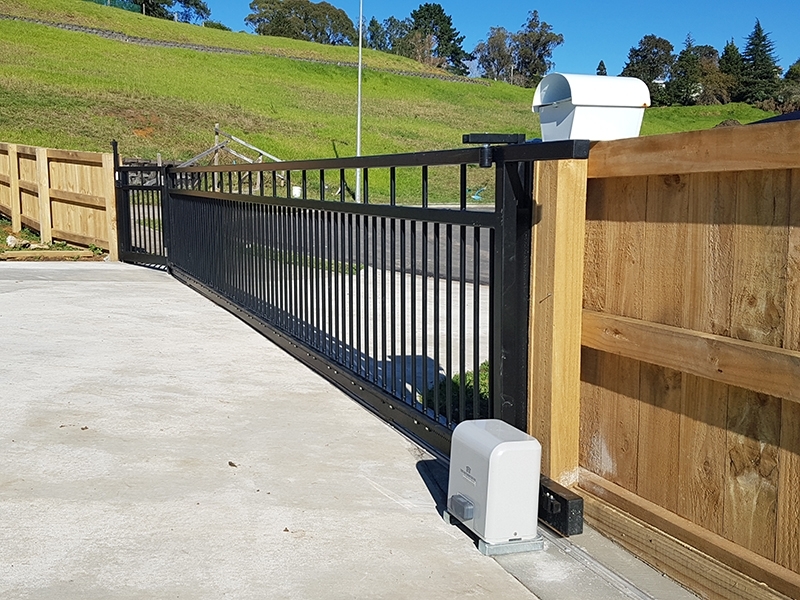 Automatic gates are no longer the luxury item of the past. 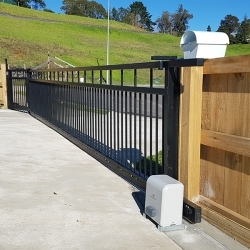 There are many benefits from convenience and security right through to street appeal. 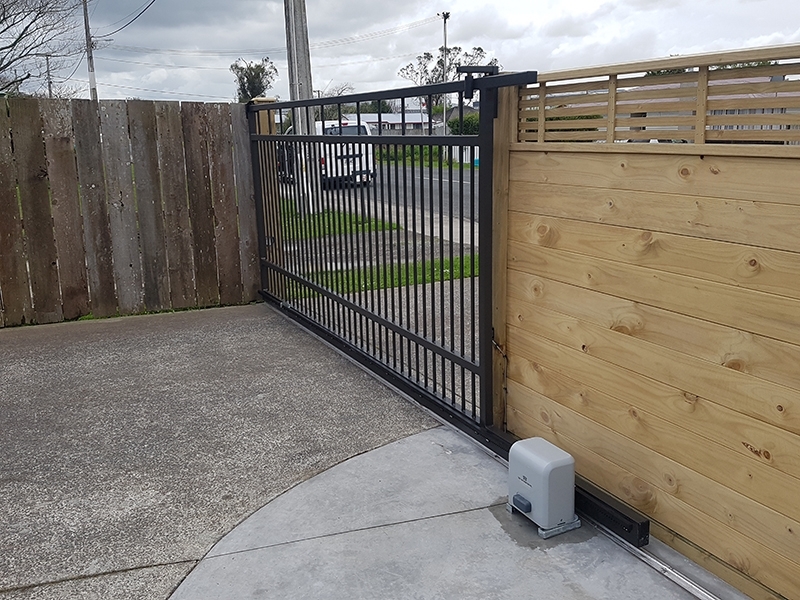 Why get out of the vehicle to open and close your gate in the rain and wind when you can stay warm and dry in the comfort of your car. 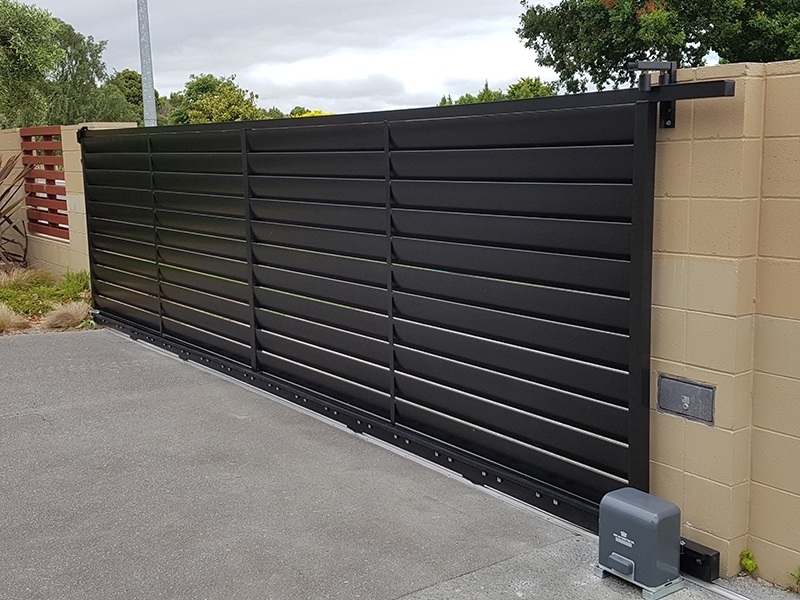 Sliding gates can offer a space saving advantage for those sites with limited space or driveways that slope upward as you enter the property. 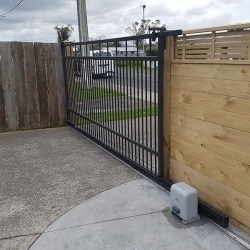 They are also less effected by wind loading when compared to swing gates so are a great option if you want a gate with solid fill for increased privacy. 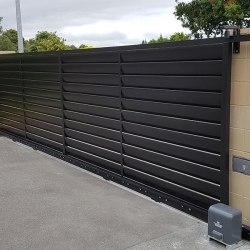 We can supply and install a range of automatic sliding gate options. 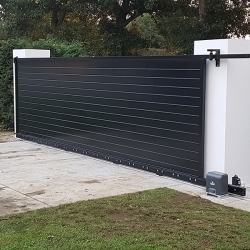 The gates can be custom built to suit your personal requirements and the unique characteristics of your driveway. 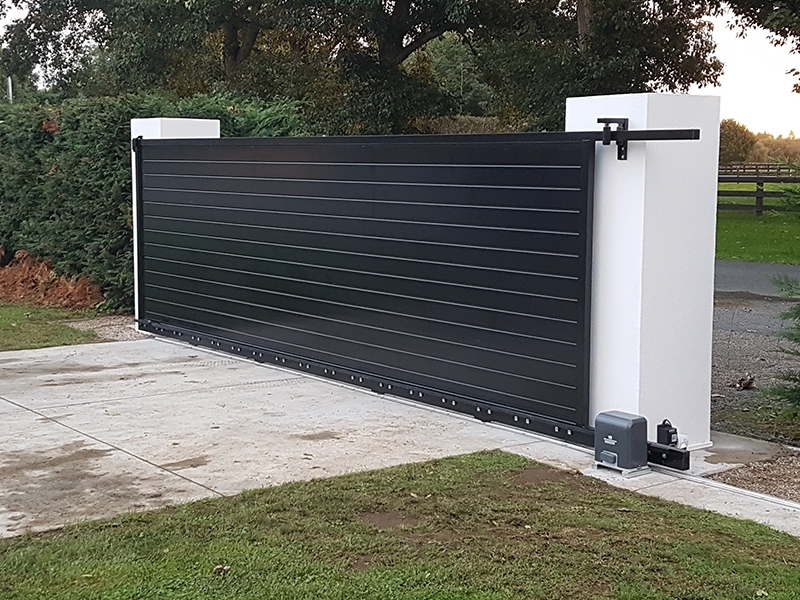 We offer a full consultation service to assess your requirements and to check out the site so we can offer solutions to suit your unique requirements.